Before going on to Ch. 12 of The Great Deception – lets catch The Brexit saga rolls on and this week took another turn. After Mrs May’s Brexit agreement was roundly defeated by over 200 votes, this week it passed by a surprisingly comfortable margin of 16 votes. Except of course it didn’t because it was not the same plan. The amended plan would seek a change to the Northern Ireland backstop. This is important to the EU and unlikely to be agreed, not because the EU is especially concerned about peace in Northern Ireland, but because it wants to ensure that the UK cannot infiltrate the Single Market through Northern Ireland and most of all because it wants to use Northern Ireland to keep the UK effectively in both the SM and CU – thus controlling much of our trade and industry and preventing us from making trade deals. It’s a cynical and desperate ploy. But one that is likely to work. UK politicians don’t really have the nerve and courage to stand up to such bullying – besides which there are far too many UK politicians who are in Brussels pocket and have bought into the EU fantasy. The EU will of course refuse re the backstop although knowing that a ‘hard Brexit’ will result in a hard border. Their absolute is not the border but the Customs Union and the Single Market – and also protecting the political project of the EU by punishing the UK for Brexit. The EU is not an open market but a closed one. The EU position can be summed up in this – “we are waiting for Britain to come with new proposals but we are not willing to renegotiate” – which begs the question why they want new proposals. Have you noticed how when Mrs May refuses to move, to Remainers’ she is ‘stubborn and obstinate, leading the nation to suicide”, but when the EU refuses to budge they are ‘brilliant and principled, leading the EU to Nirvana’. Meanwhile in the rest of the EU, Italy has gone into recession. The ‘EU is NIrvana’ people who argue rightly that there are risks to the UK economy in being out of the EU, are always remarkably silent about the risks to the UK economy of being in the EU. This weeks articles include this fascinating insight into the motives of some Leave voters and this interesting suggestion from our old friend Yanis Varoufakis. There is also this insightful summary of the view of the EU from the Left. Here is a great explanation of the EU! Mrs Thatcher was the longest-serving prime minister in Britain for the 20th century. But the latter half of he period was dogged by questions about Europe and ultimately it was to result in her demise. This chapter records her conversion (or de-conversion) from being an EUphile to being anti-EU. Chancellor Nigel Lawson wanted to join the Exchange Rate Mechanism – Because he thought it would be a good thing economically. Geoffrey Howe, on the other hand wanted to join because he knew that the purpose was not economic but political – a mechanism designed to promote greater integration. Thatcher alone amongst the Cabinet was opposed. Meanwhile another Thatcherite cabinet minister – her Defence Secretary, Michael Heseltine, got embroiled in arguments about the Eurofighter and the Westland helicopter project. (It’s interesting how Heseltine is now wheeled out as a moderate pro-European on the BBC and other media). 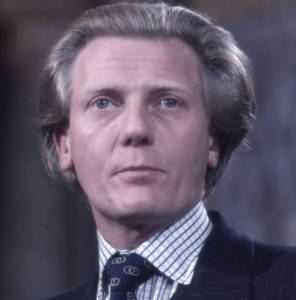 Heseltine became a bitter enemy of Thatcher. His preference for the more expensive European options was to prove very expensive to the British taxpayer. The Eurofighter cost the British taxpayer more than £16 billion, for an aircraft which became obsolete with the end of the Cold War and was still not in service by 2005, two decades later. The Anglo Italian EH101 helicopter ended up becoming the most expensive helicopter in the world, costing a hundred million pounds each – and even then it was inoperable until the US Lockheed Martin company provided technical assistance! When it comes to the European project it appears as though taxpayers money is of little consideration. Thatcher was changing quickly. She had come a long way from her launch of the yes campaign for the Conservatives 11 years earlier. In addition to noting the determination of the Franco German block to set the community’s agenda, she observed that the commission was now led by a tough, talented European federalist, whose philosophy justified centralism. She also recorded how her own foreign office officials seemed to be moving to compromise with these new European friends. 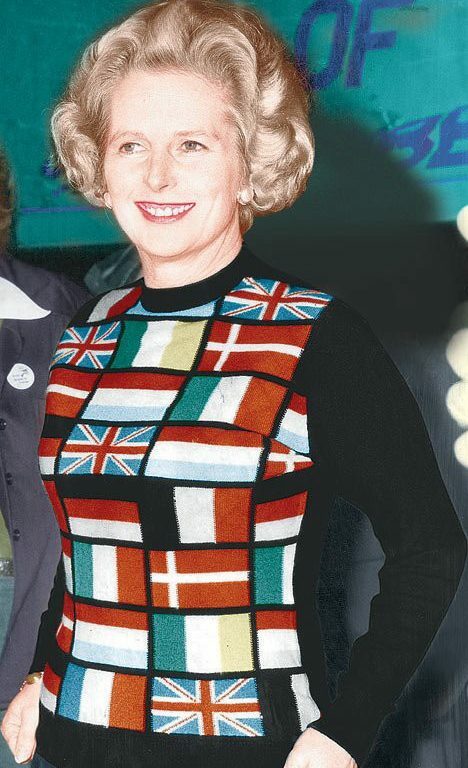 After her successful election campaign in 1987 she decided to take on the European Community. It was to be three years of a war of attrition in a minority of one. 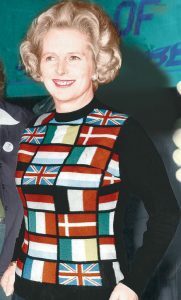 At the Brussels council in June 1988, after a bitter battle, Mrs Thatcher thought she had won in significant areas. But there was one area which was to prove significant, where she lost. A huge increase was agreed to regional funds – which gave the commission power to administer regional policy. Previously national governments have devised their own schemes for regional funding then applied for money to the commission. Now it was the commission who directly interacted with regional authorities – then immediately set up offices in Brussels so that they could lobby for funding. This greatly undermined national elected governments and gave far greater power to the bureaucrats both at regional and European level. The ongoing battles continued with the determination of the rest of Europe to have a single currency and to set up a European central bank..Delors also argued that there should be the beginnings of a European government by 1995. Thatcher could now see clearly the way that things were going. Her response? “Were British democracy, Parliamentary sovereignty, the common law, our traditional sense of fairness, our ability to run our own affairs our own way to be subordinated to the demands of a remote bureaucracy, resting on very different traditions?”. Meanwhile in September 1988 Delors addressed the annual congress of the TUC setting out the EU and its social dimension as an answer to Thatcherism. Thatcher also made a significant speech in September of 1988. The famous Bruges speech on the future of Europe. There was a furious reaction both in Britain and on the continent to the speech. Howe became determined to bring Thatcher down because she was no longer a true EU believer. One of the most remarkable things about the current Brexit/EU debate is just how much belief in the EU is treated like a religion and its most dedicated devotees behave like the worst religious fanatics. (To be fair on the other side there are those who seem to treat Brexit and the UK like some kind of cure all as well). The EU has moved on from being a market to being a Superstate – and now a quasi-religious ideology. Howe parted with Thatcher when he realised that she was no longer a true believer – “It was like being married to a clergyman who had suddenly proclaimed his disbelief in God.” In the political world there are never simple solutions or situations where one side is always bad and the other good. The EU has good and bad points. But when you come to believe that the EU is THE answer and anyone who thinks otherwise is a deluded fool, or evil; then you will end up with the kind of extremist positions that so many of our political class seem to take. We can only hope and pray for more realism (on all sides) in the coming weeks. The Great Deception – Part 12 – The Creation of a ‘European’ Identity. Schrodingers EU. The EU that wants to keep the UK from having access to the single market, but also wants the UK to be trapped in the single market?! Chilling reading here: EU: Going Full Orwell by the Gatestone Institute today. Strange how the url just would not copy and paste. Is anyone else experiencing that and is it proof of the Orwellian darkness already at work? Do you mean financially? If so, can that be proven? You put this in quotes, who said it originally? As a remainer I don’t think that the EU are either principled or that brilliant. I don’t think Westminster or Holyrood are particularly principled or brilliant either for that matter. Italy, having the Euro, has a significantly different economic relationship with the EU than Britain does. Who despite everything remains pro-Europe. I will agree that there are those that think the EU can do no wrong (e.g. Lib-Dems) but there are also those among the political classes and elites that speak as if the EU is the answer for every wrong in society and anyone who disagrees has been ‘brainwashed’. I think that this is a view that you have sometimes come close to on this blog, reporting, for example, as if every university student that is pro-EU has been ‘brainwashed’ by their professors and every anti-EU student is ‘free thinking’. As if every pro-EU politician is ‘elite’ and every pro-Brexit politician is a ‘man of the people’. People who voted for Brexit rightly recognised that there are problems with this society and how society is run and they were told by political anti-EU elites that Europe was THE cause. I suspect that at the end of the day, no matter what happens with Brexit, we will find out that the EU is neither the answer nor the cause of our problems in this country. Thank you again David for the article. I really must go and buy a copy! The BBC article on Italy in Recession that was linked above was strangely quiet on the performance on the UK % change to GDP. That seems somewhat odd to me you’d think the British public broadcaster would like to put these numbers into domestic context. So I took a wee look on the EuroStat website where the figures come from: (https://ec.europa.eu/eurostat/cache/infographs/economy/desktop/index.html). and lo and behold the UK actually posted some decent figures! It was also just as silent on the German % change. This is perhaps more interesting as their growth in Q3 was less than impressive and unlike the other countries mentioned in this article Q4 hasn’t been made public yet. They couldn’t be heading for a recession themselves. Could they? It’s axiomatic that he/she who pays the piper calls the tune. Several of our politicians have gone on to become EU Commissioners. To name just one, Neil Kinnock stood on an anti EEC manifesto on 1983 yet is now an indefatigable apologist for the EU. He has never quite explained his ideological shift. Those who attain to these heights can look forward to a lifelong, non-taxable pension. The absence of any such ambition on the part of some of our present politicians would scarcely be human. Besides, it’s not quite respectable if you dissent from the establishment consensus on the fundamental importance of the EU as one of the pillars of the economic order. If you do, you won’t get invited to Davos etc. The BBC certainly gets money from the EU, as does the CBI. In the case of people like Heseltine and Ken Clarke I think it’s something different. They don’t need the money and have no more big ambitions in this life. It may be something to do with having been at university in the early 1960s or whenever, when the developments on the continent after 50 years of conflict seemed inspirational, and such a contrast to the drab old Britain, the divided society, with its out of touch bosses, its industrial unrest, and its working class pleasures. I believe the young Wordsworth was similarly infatuated with the French Revolution. But that ended in tears too, and Wordsworth ended up a somewhat reactionary old Tory. With Heseltine and Clarke they can’t give up on the dream though: it would be like losing a part of themselves. Just as Eric Hobsbawm couldn’t quite bring himself to condemn the Soviet tyranny. 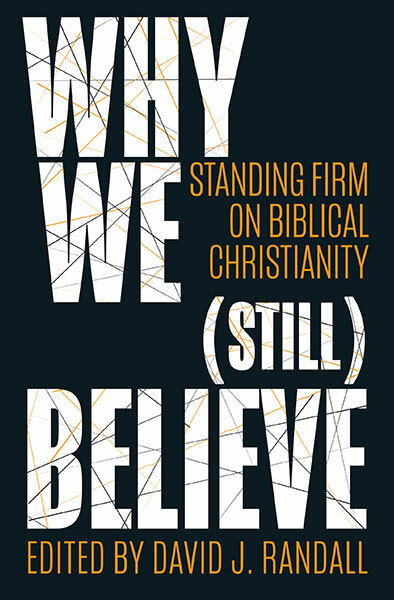 Previous Previous post: Was Hitler a Christian?